True border-less smartphones may be coming as early as 2017 according to predictions by the South Korean manufacturer. Park Wong-Sang, Senior Engineer at Samsung, has recently outlined a trend that he believes the smartphone market has been following. Accordingly, manufacturers have been steadily increasing the screen-to-body ratio of their smartphones every year that will ultimately lead to a screen-to-body ratio as high as 99 percent of the display. 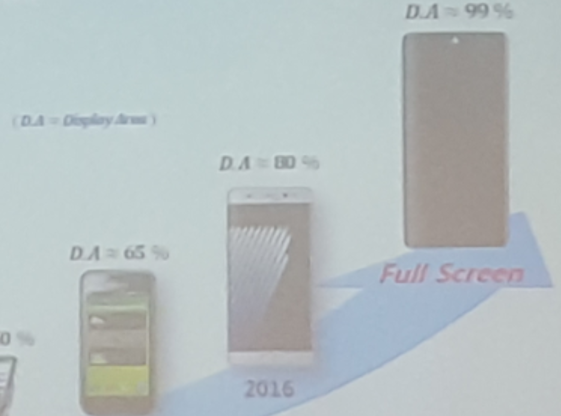 This would essentially reduce the edges and corners to be a part of the screen and the general trend itself is already at 80 percent as of 2016 according to Samsung. 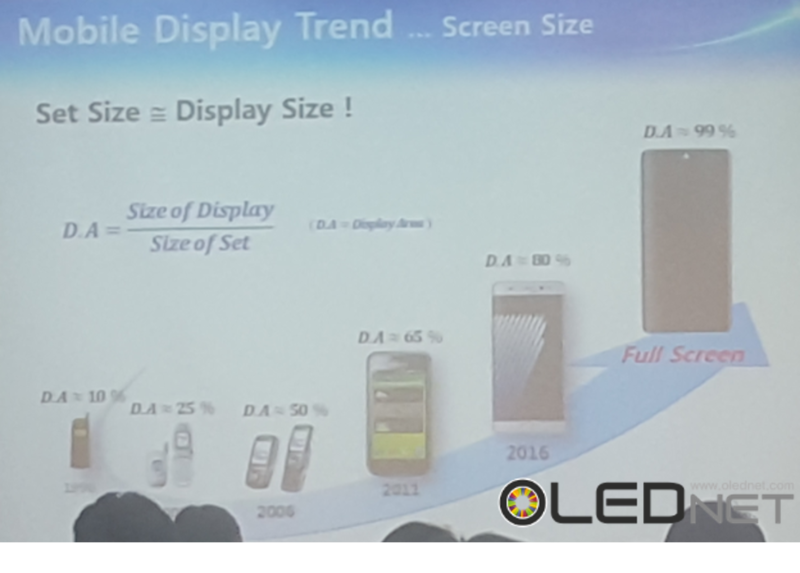 Exactly when manufacturers can reach a display area of 99 percent remains unknown, but Samsung and other manufacturers may already be designing smartphones with a display area of at least 90 percent by 2017. Both the Galaxy S8 and the successor to the iPhone 7 are rumored to have even higher screen-to-body ratios when compared to their respective predecessors. Samsung Mobile VP has promised reduced display edges for the next Galaxy flagship, though no confirmation of the display area was made. Nonetheless, smartphones with exceptionally large display areas are already available including the Xiaomi MIX and the Sharp Aquos Crystal series. Many of these devices are based off of OLED and Samsung themselves will be investing more heavily in the display technology for at least the next few years. Apple has been rumored to be using OLED for its future iPhones as well, further fueling speculation of borderless smartphones.